Kia ora and haere mai, welcome to the 22nd instalment of 9mm for 2018, and the 194th overall edition of our long-running author interview series. Today I'm very pleased to welcome internationally bestselling thriller writer Riley Sager to Crime Watch. 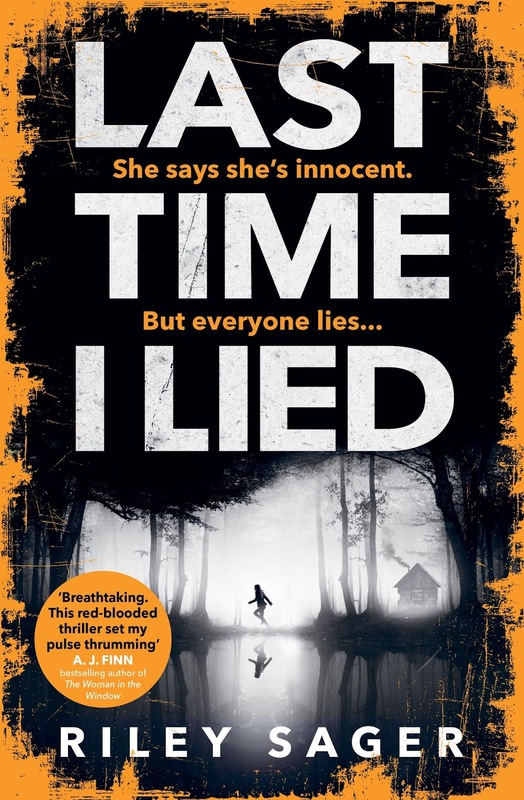 Riley Sager is the pseudonym of the author of THE FINAL GIRLS, an acclaimed thriller centred on three sole survivors of brutal crimes, linked by the media but who never meet, until years later circumstances bring them together in a harrowing way. That 'debut' was described by Stephen King as "the first great thriller of 2017". That book has or will be translated into more than two dozen languages, and a film adaptation is being developed by Universal Pictures. Sager's second novel is out this summer, (THE) LAST TIME I LIED - the UK & Commonwealth version eschews the 'the' - a tale of another 'final girl', in a way: Emma Davis is a New York City artist who years before was left alone in her cabin at summer camp while her three older cabin-mates went out adventuring one night, never to return. Years later, she returns to the camp, looking for answers, or closure, only to find suspicious events happening again, and suspicion cast her way. A native of Pennsylvania, Riley is a writer, editor, and graphic designer who lives in Princeton, New Jersey. He had previously published several books under his own name - one of which I've actually reviewed here on Crime Watch back in 2015 (I didn't make the connection until after reading LAST TIME I LIED). Whatever name he chooses to writer under, Sager delivers cracking great reads. But for now, Riley Sager becomes the latest author to stare down the barrel of 9mm. At the risk of giving an oddball answer right off the bat, I have to go with Trixie Belden. I doubt those books were widely read in the UK, because even here in the US they were always seen as a cheap imitation of Nancy Drew. Trixie was a plucky teenager who lived on a farm in New York’s Hudson Valley and, along with her brothers and best friend Honey, solved mysteries. My mother had the entire series, which I read during one long, lazy summer when I was 11. I’ll admit I was drawn to the covers, which were always far more creepy than the books themselves. But Trixie will always hold a special place in my heart. Those books were the first time I thought that solving crimes - or just writing about them - might be a fun thing to do. Charlie and the Chocolate Factory by Roald Dahl. I was ten, and it blew my young mind. I’d reads other books before that, of course, but it was the first time a book transported me completely to another world. If I could relive one experience from my life over again, it just might be reading that book for the first time. It was that magical. I’ve written all of the above—and had them all rejected. This includes three unpublished novels, a handful of unpublished short stories and even a screenplay that went nowhere. After each rejection, I just kept trying. Now here I am. Right now, my life consists of work, work, work. But I have no one to blame but myself because I scheduled it that way. The plan is to work nonstop now so I can spend all of August being lazy. In my leisure time, when I have it, I love traveling, going to the movies, and having long, boozy dinners. Well, I live in Princeton, which obviously has a very big, very old and very famous university at its center. What a lot of people don’t know is that, hidden away in the university library’s rare books room, is one of the world’s biggest collection of death masks. It’s not open to regular visitors - just historians and scholars. But I was lucky enough to get a peek while writing an article about it a few years ago. It’s fascinating - and creepy. Honestly, no actor would want to play me! Not unless they want to spend all their sitting in front of a laptop staring at a blank page. In the interest of wishful thinking, I’ll say Chris Evans. I can’t answer that. It’s like trying to pick your favorite child or favorite parent. I love all my books equally. Honestly, my first reaction was relief. This was validation that I could actually write something that was publishable. That I wasn’t being foolish or naïve. That all my hard work wasn’t for nothing. There’s a restaurant near me that I absolutely love, so every time there’s good news, whether it’s the day of a book’s release or some new book or movie deal, I’ll go there to celebrate. I once had someone fall asleep at a reading. She was seated in the front row and started snoring, so it was very noticeable. Not knowing what else to do, I just kept reading. I’d like to think it was because she was just exhausted and that I wasn’t so boring that it put her to sleep. 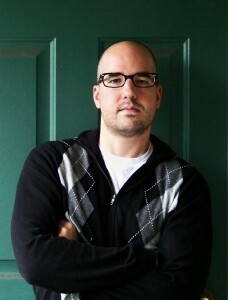 You can read more about Riley Sager and his thrillers at his website, and follow him on Twitter.